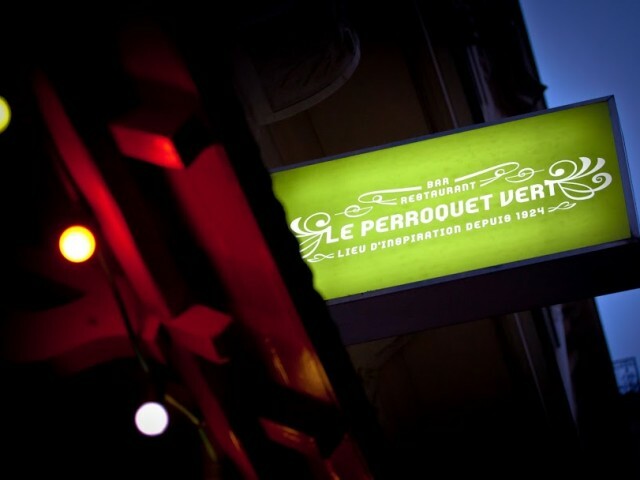 Located in the 18th arrondissement, near the Porte de Clichy and near Pigalle, The Green Parrot, welcomes you into a mythical place full of history. By choosing the name "The Green Parrot", the owner pays tribute to the famous novelist and Romanian Princess Marthe Bibesco accustomed places. This typically Parisian address was notably attended by many artists such as Pablo Picasso, Edith Piaf, Jean Gabin, Yves Montand, Fernandel ... You can enjoy traditional, tasty and crafted cuisine that will make you travel through time.